Bed bugs are tiny insects that feed off human blood. So, they like to be close to humans. Bed bugs are often found in people’s bedrooms. They reside in mattresses, in crevices in the wood, in sofa pillows, in the carpet, and even in the corner of walls. Bed bugs lay very small eggs that can be almost too small for the human eye to see. From these eggs, new bed bugs can be born to re-infest your home even after you think you’ve killed them all. Because bed bugs are small, a casual inspection of any used furniture you find will not generally be sufficiently. It’s highly unlikely you’ll be able to spot the bed bugs especially if the furniture is dark or if it’s got a lot of fabric. For example, if you’re trying to look for bed bugs in an used mattress, then please stop. Bed bugs can reside inside the mattress, so just looking for them on the surface is pointless. Also, even if you don’t see bed bugs anywhere, the fact is that there may bed bug eggs on it. So, if you took that used furniture into your home, then you could be bringing bed bug eggs in, which can later hatch and infest your house. For more information about bed bugs, check out our What Are Bed Bugs page here. It’s really not worth the risk to pick up used furniture unless you know exactly where it came from and that it definitely isn’t infested with bed bugs. Bed bugs can be very difficult to get rid of once they settle into your home, so you want to make extra sure you don’t get them. Bed bugs are difficult to get rid of because they can survive warm temperatures and chilly temperatures and they can live for months without feeding. They are also hard to detect, which makes it tough when you’re trying to find them in order to kill them. I’ll go over some of the methods below that does actually kill bed bugs, but you’ll see that it’s quite a chore. So, it’s best to avoid having to go through all of that. If you have recently picked up furniture from a used furniture store or picked up furniture from the street thinking it was a bargain, then you will want to make sure your home isn’t now bed bug infested. 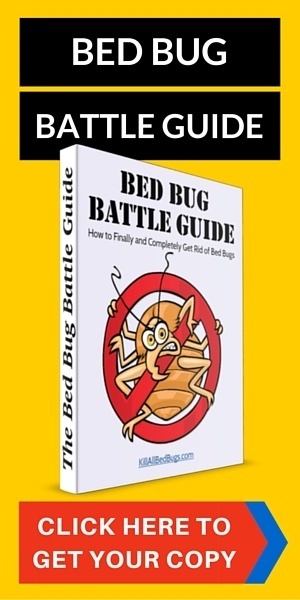 If you’ve gotten bitten in the past few days, then that can be one indicator of bed bugs, although it’s a very poor indicator as bed bug bites look very similar to other insect bites. Many people describe bed bug bites as coming in a row of 3 bites. So, that can be one potential indicator. 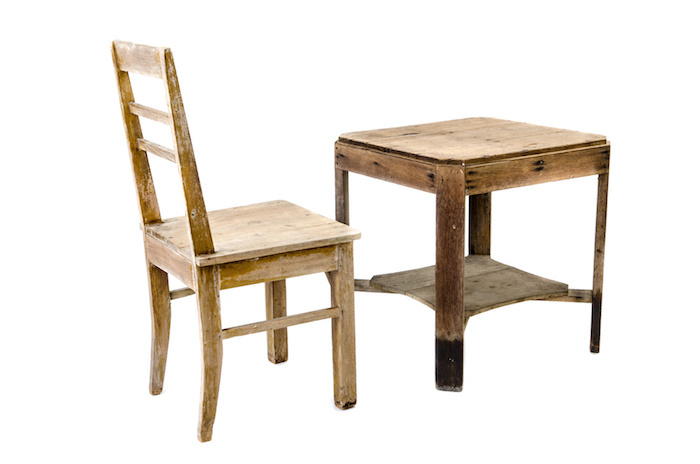 A better method of detecting bed bugs on used furniture is to set up some bed bug traps. I suggest getting something like the Climbup detector to try to catch bed bugs climbing into or out of your bed. This is something that’s good to have regardless of whether the used furniture you picked up was a bed or not. Another option is to put some vaseline on your bed legs as well as the legs of any tables in your bedroom. Bed bugs climbing up or down the legs will get trapped by the vaseline. Instead of vaseline, you can also use double sided tape for this purpose. If you can’t catch bed bugs, then you can often spot signs of them on your mattress. Bed bugs will often leave brownish or reddish streaks on the mattress or sheets. In particular, look in the corners of the mattress and around the seams. If you do get used furniture, then we suggest you check regularly for signs of bed bugs in your home as early detection can save you a lot of time and hassle in getting rid of them. 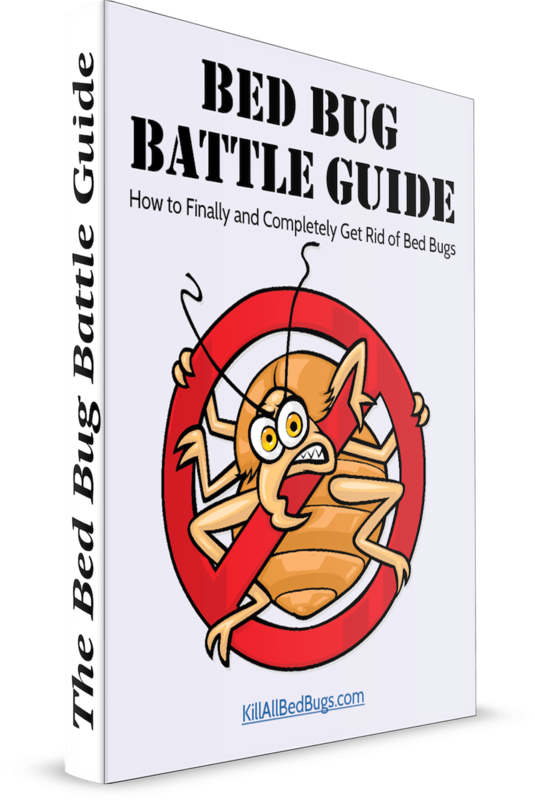 For more information about bed bug symptoms, check out our article here. How To Disinfected Bed Bugs from Furniture? If you really want to get used furniture, then please try to disinfect it first to get rid of any bed bugs that might be on it. The best way to disinfect the furniture is using a dry steamer if it’s safe to use on that furniture. Dry steamers can be used on mattresses, sofas, carpets, hardwood flooring, and most wood. What dry steamers do is they push out a very small amount of very hot steam and that heat can kill bed bugs and their eggs. Dry steamers (like this one) cost around $300 and can be a great investment if you’re planning on getting a lot of used furniture for your house or apartment. They’re also a great device for killing bed bugs when you get an infestation in your home, so it’s a good purchase anyway! And when you’re bed bug free, they can also be used to clean your upholstery, carpets, as well as tiles and granite counter tops. If you don’t want to get a dry steamer, then another option is to use rubbing alcohol. Pour rubbing alcohol on a cloth and wipe down the piece of furniture with the cloth. Make sure to pour enough rubbing alcohol on the cloth as it evaporates quickly. Rubbing alcohol can kill bed bugs, so this can be an effective and cheap method. However, this method won’t kill bed bugs that are inside a mattress or pillow whereas the dry steamer may be able to heat up the mattress or pillow enough to kill them. The third method of killing bed bugs on used furniture is to use bed bug sprays like Bed Bug Bully or Eco Defense. Both of these are natural bed bug sprays made from ingredients like rosemary essential oil. While they’re not all that effective, they can kill some bed bugs and potentially repel others. The upside to using one of these sprays is that they are pretty safe to use around your family unlike pesticides. What To Do If You Get Bed Bugs? If you do detect bed bugs in your home (by following the detection instructions above), then you must try to eradicate the bed bugs (plus all their eggs) as quickly as possible. The reason for this is that they can spread quickly and the infestation can get out of hand quickly, leaving you unhappy and full of bites. Clearly, this is an expensive method, but if you hire a good exterminator, then it can be a highly effective method of getting rid of bed bugs quickly and for good. It’s obviously a good first step to wash all your clothes and your sheets and any mattress and sofa covers you have along with pillow and cushion covers. Try to wash everything on high temperatures if they can take that sort of heat. Then also dry everything at a high temperature too. This will help with killing bed bugs as well as bed bug eggs. Then, when you vacuum, be careful not to spread the bed bugs and their eggs further afield. Don’t use any brush attachments on your vacuum and always seal and throw away the vacuum bag after. We highly recommend using diatomaceous earth instead of bed bug sprays around your home. Diatomaceous earth is also very natural and safe to use and is very effective at killing bed bugs that were missed by the dry steamer and cleaning regimens. The way this grayish white powder works is to dehydrate any bed bugs that walk across it. So, we suggest spreading a thin layer of this in the corner of your rooms (especially your bedroom). In the end, we really think you shouldn’t pick up used furniture if you can help it. The risk of bed bugs on used furniture is too great these days and bed bugs are so hard to get rid of that it’s just not worth it. It can often cost you more money to exterminate bed bugs than it costs you to buy new furniture. But if you have to use used furniture, then please follow our suggestions above on disinfecting your furniture first. At least use some rubbing alcohol on the furniture – this is cheap and easy and could potentially save you a lot of headache down the road!